Prabhas starrer 'Baahubali 2: The Conclusion,' released on 28th April this year and created another history with its Box Office collections. It has been 100 days since S. S. Rajamouli's magnum opus hit the theatres and the film is still running across the country. 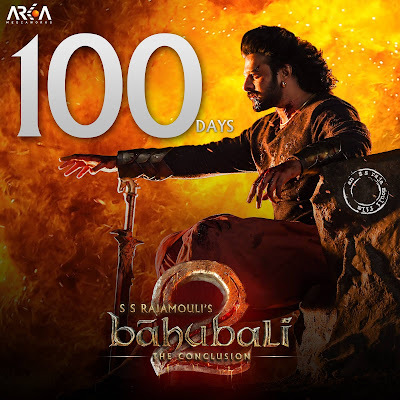 It is rare for films to cross 100 days of running in theatres but Prabhas's film has managed to do that. Prabhas garnered a lot of love and admiration for his portrayal of 'Baahubali' and connected instantly with the audience. 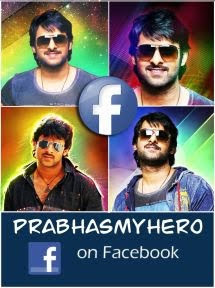 Now, while the actor is working on his next film, 'Saaho,' his fans are yet showering love on him for 'Baahubali'. 'Baahubali 2' released to positive reviews from critics and surpassed Aamir Khan starrer 'PK', to become the highest grossing Indian film of all time, collecting approximately Rs. 800 crore (US$120 million) worldwide within just six days of its release.